Retail landscapes are designed for impulse shopping. To stay ahead in the race, Retailers adapt themselves quickly in the way customers communicate and behave. Brick-and-mortar stores are mobilized because making a buying decision after roaming 4-5 shops and then zero in the choice to one was unable to intrigue the consumers. However, mobility solutions are not enough appealing that can give customers a reason to step inside and ended up with buying. This is for the reason that best Customers experience is missing. Merging creativity into the technology with wearable has an answer to this problem. Wearable could be a smart watch, smart glass, smart bands, smart clothes and much more. Wearable technology has changed the way people choose, compare, interact and shop. This message provides information to the user about the products they sell and what are the offers going on would create grounds for the customer wherein customer may come and end up by doing shopping. This scenario is just in the terms of how the availability of information with wearable can scale retail business. In the complete shopping cycle, the experience shoppers get from retailers establish long-lasting relationship. Wearable technology can help retailers by letting them rendering services to the buyers effortlessly. How it can be done- Take a peek inside it! Scan-search-shop and shopping are over. Wearing smart glass, consumers can compare the price of item online, which is presently in front of their eyes. Moreover, for shopping assistance, they are enabled to bring their distant friend in the store. In the last few years, Customers’ demand for convenience has grown quite high. Plus, they don’t have time to move inside every shop and check products availability or any offers. Without going into a shop, how people can receive all the information that they want to know. 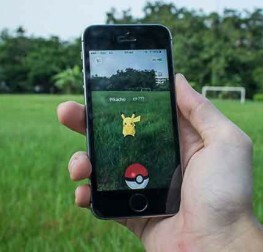 With smart glasses, it’s possible. 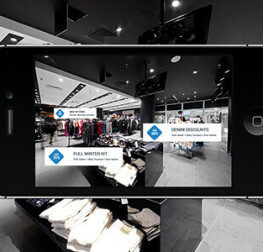 Employing this technology, retailers can send the message to all the users in the vicinity and make passer-by connect with the stores. Sending location-based offers or making shopping plain-sailing is not suffice while making payment process a breeze is also the need of the hour. With smart gears, payment becomes handy and easy. 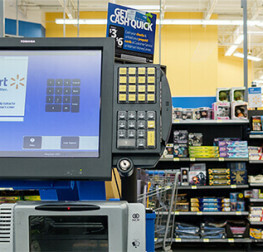 Customers just walk into the store, pick up their purchase, make the payment with a tap and walked out with purchase without having the need to stand in check-out line. Apple pay in Apple watch or PayPal via Samsung watch are the best examples of payment right through the wrist. 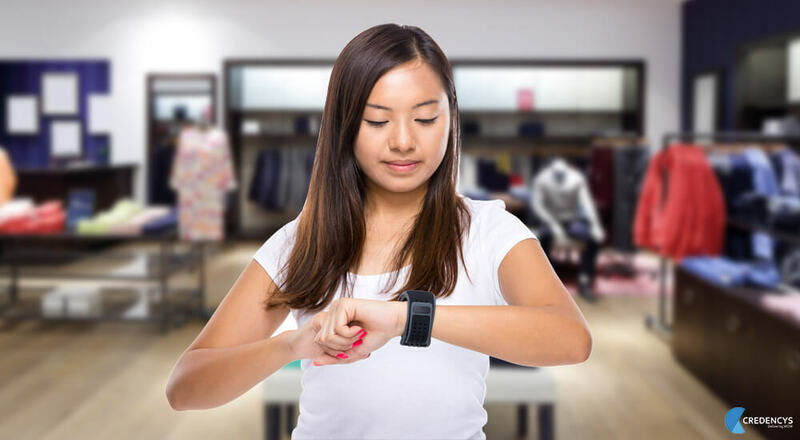 Enabling wearable payment, retailers can give prospects another reason to connect with them. Comprehensive analytics about how customers shop help retailers in making their merchandising decision. Without any concrete database, they cannot roll out any new strategy. 59% of retailers cited lack of consumer insights as their data related problem and 70% of Americans are comfortable in sharing data with retailers. These stats imply customers are ready to provide their feedback and retailers have urgent need of it. Wearable technology can fill this gap at ease. Deploying wearable solution, retailers would get rich insights about customers’ choice and buying decision. Loyal customers are the brand ambassador of retail stores and brands. Having large base of loyal customers is truly rewarding. Store owners can retain customers by pushing them personalized message or offering loyalty rewards based on their past purchase history. For instance, every Friday, Mr. A went to a restaurant for enjoying steak and sizzlers. As, Mr. A passes by the restaurant and get the message, “Hello, Mr. A, your yummy steaks and sizzlers are waiting for you and get 30% discount on your overall bill,” it delights him. 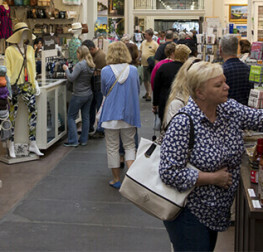 Using this tactic, retail space can connect with their existing customers and boost the revenues. It’s not a long way; soon, wearable technology will shift retail conventions. Although presently wearable has not matched promised hype but connecting the dots between pre-store and in-store experience would set a new level of interconnected retail. Forward thinking retailers such as Tesco, Amazon, eBay has already initiated the efforts to create novel retail experience. Be the next to radically redefine retail experience and fuel purchase!